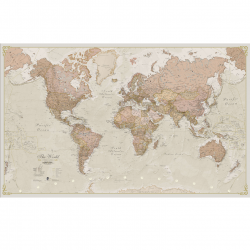 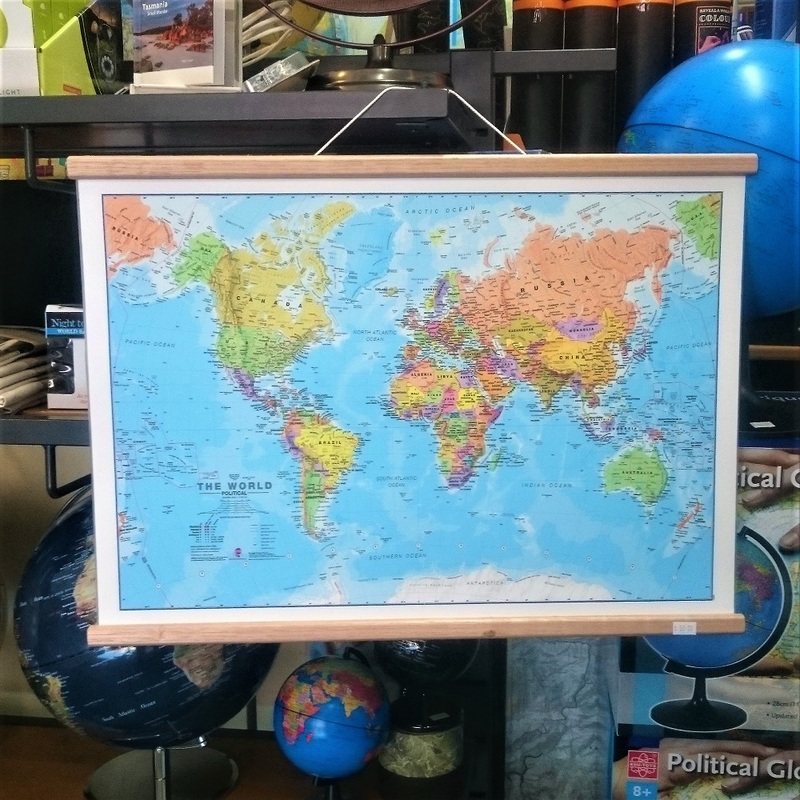 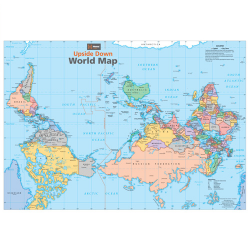 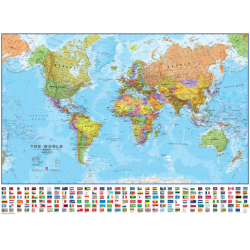 This politically coloured world wall map features every country as a vibrant, different colour. All major towns and cities are featured on this popular wall map, and capital cities are clearly marked. 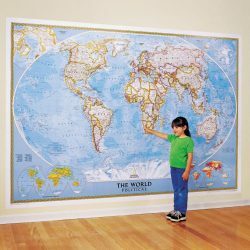 Hill relief and sea shading add to the stunning overall effect in this huge political world wall map.